The Cascade R has a distinctive look, wide field of vision and the most advanced protection Cascade has ever offered. There are many ways to measure a great helmet, but few metrics are more important than the eye test. 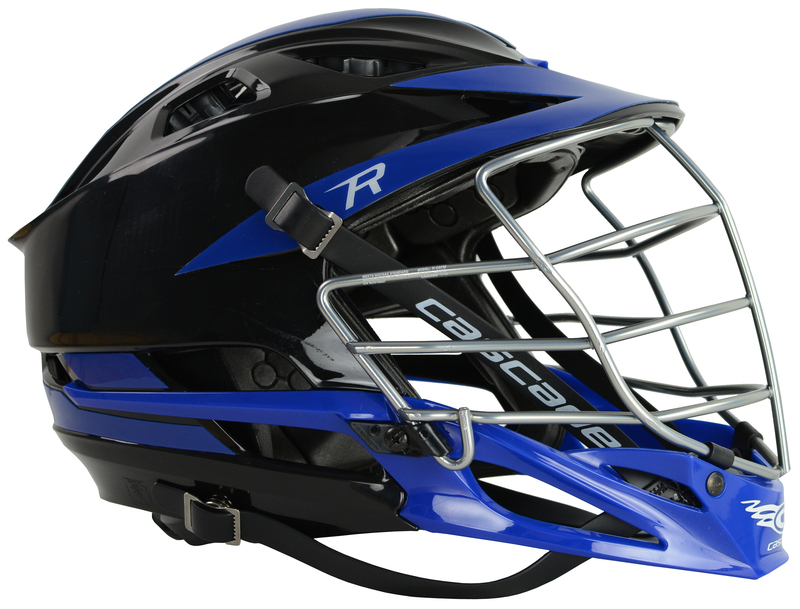 Maybe the best part about the Cascade R Men’s Lacrosse Helmet is that its visual appeal applies to both the player wearing the helmet and the one looking at it from afar. Yes, the protection is space-aged in its advancement and we’ll get into that, but one of the major advantages of this helmet is a wider field of vision, particularly when looking down for ground balls. The new R-series mask offers improved sight lines, especially in the peripheral, where a wider cutout allows you to see more of the field. Thin bars that are angled down open up your vision even more so you’ll have the best view of anyone. Launched in July 2013, the R is built to stand out. 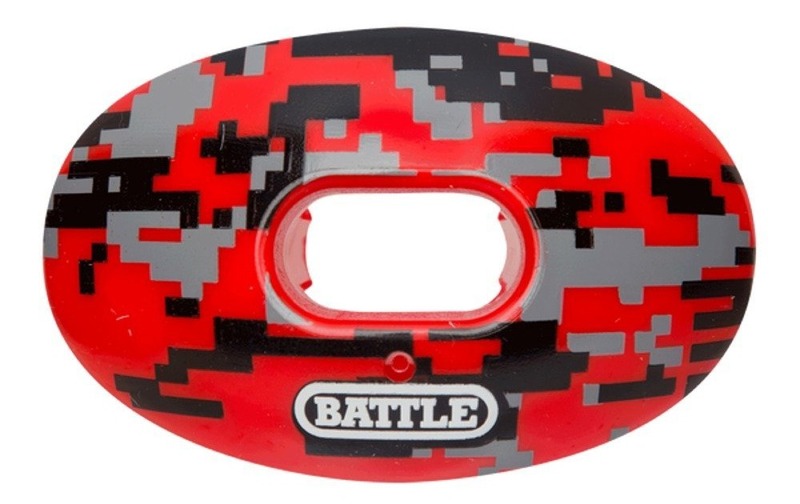 With 18 customizable colors in seven different parts of the helmet, you can easily get any look you want.The most distinguishing feature of this helmet is an extended molded chin that can be spotted from anywhere on the field. 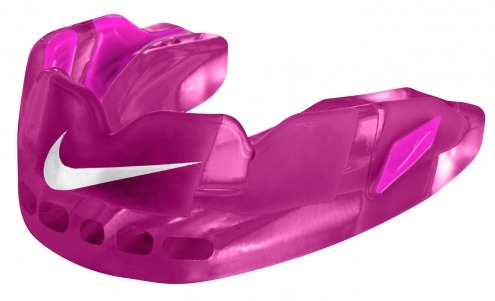 That chin piece runs through the ear, offering a more rigid jaw line for added safety. The rest of the protection comes from within, where years of research went into creating this helmet. The R features a dual liner, combining two technologies from Cascade – SevenTech and PoronXRD – built to protect you from both high impacts, mainly from another player, and lower impacts, like an errant stick to the head. PoronXRD is noticeable on the inside of the helmet thanks to its yellow color. It’s a new kind of foam that’s not only comfortable but helps dissipate linear force on those lower intensity impacts. The material is soft and pliable against the head, but stiffens up on impact. SevenTechnology is a liner system that also helps to manage energy transfer on hits. The liner can be seen through the vents on the top of the shell and assists with high-energy hits. SevenTech, found in the CPX-R helmet from Cascade, laterally displaces the energy from an impact and then resets to prepare for the next blow. By combining SevenTech and PoronXRD, the Cascade R helmet features never before seen protection. Fit is of utmost importance when talking about protection, and the R can be customized in a variety of ways to make sure you get the fit that’s right for you. 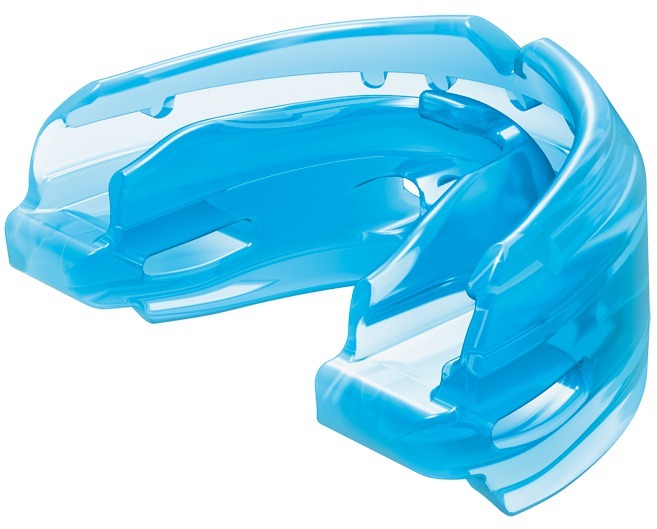 The helmet includes three sizes of jaw pads to ensure your head is securely in the helmet laterally. Cascade’s HardTail SPR fitting system, found in the CPX-R, allows the helmet to fit all sized heads. The clickable fit system, found in the back of the helmet, allows you to tighten the helmet to your specifications and can be easily adjusted on the fly. The Cascade R helmet has swept through the lacrosse world, as it’s been used by college and pro teams, along with high schools and clubs across the country. 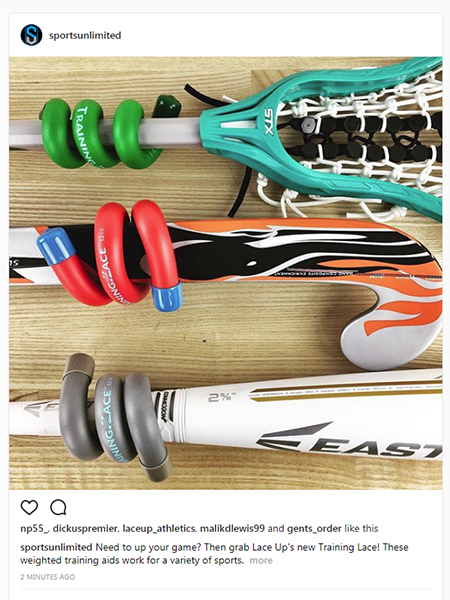 If you want the look the top players are sporting – or have any more lacrosse equipment needs – be sure to check out Sports Unlimited. 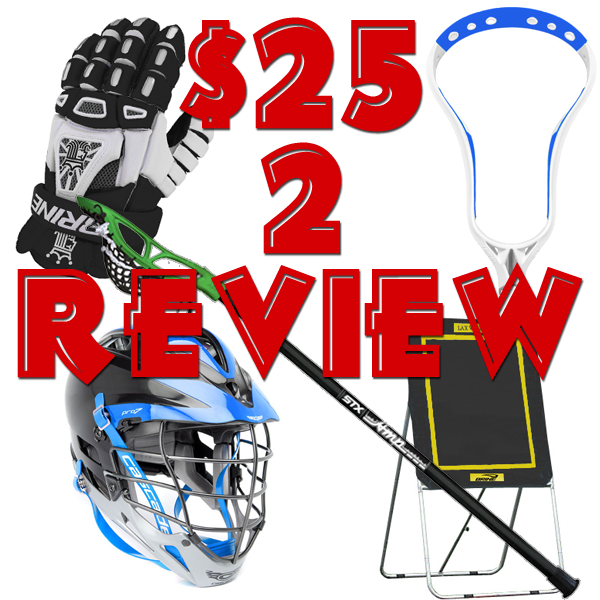 Win $25 when you shoot and submit a video review of your favorite Lacrosse gear from Sports Unlimited! 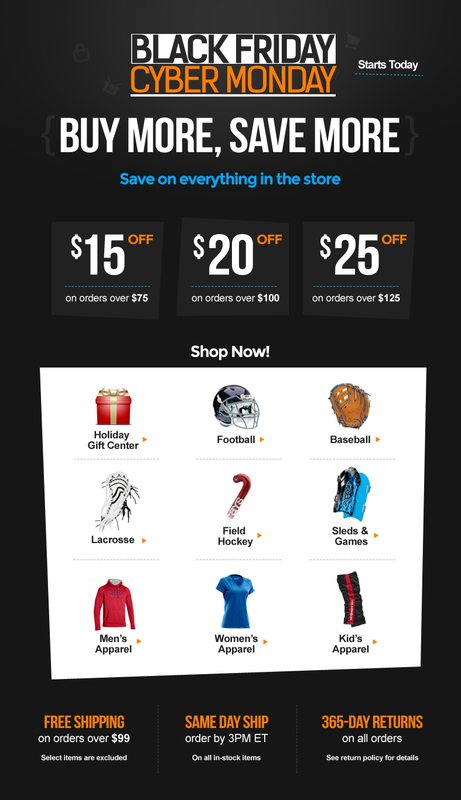 Now at Sports Unlimited, shoot a video review of your favorite lacrosse gear from SU, and you’ll win a $25 gift card! Got a new lacrosse head from Sports Unlimited? Or how about a pair of lax gloves or shoulder pads for Christmas? Whatever it is, we want to hear what you have to say about it! Whether you like it, love it, or absolutely despise it and will never use it again…we want to tell the world what it’s really like to use our lax gear. So shoot a short video of you talking about, and using your new lacrosse equipment, and if we dig it, you’ll win $25 to Sports Unlimited! 1. Grab a buddy, a camera (or camera phone), and your favorite lacrosse rebounder, lax stick, gloves, or whatever! 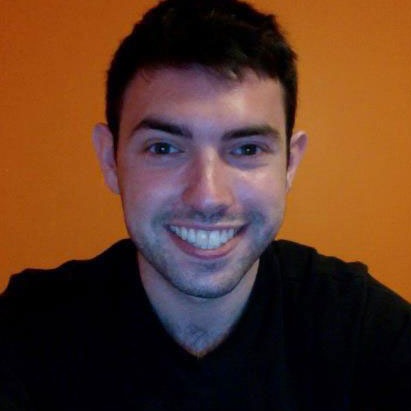 Then shoot a short video review, talking about your experience with the product. Use it a little bit. Get creative if you want! We’re looking for something personal and useful, so it should probably be a product you’ve used for at least a few weeks, and it should still be available at SportsUnlimited.com. 2. Click here, read the full rules and regulations, scroll to the bottom of the page, and then submit a few pieces of information to us, including your email address. 3. You’ll immediately receive an email invitation to our shared DropBox folder. When you do, follow the directions to create a free DropBox account, which will allow you to easily upload your video review directly to our shared server! 4. We’ll take a look at your video review, and if we use it on the site, we’ll email you a $25 gift card to Sports Unlimited! We’re excited to hear what you have to say! So be real, tell us what it’s like, and we’ll tell the world right here on Sports Unlimited! 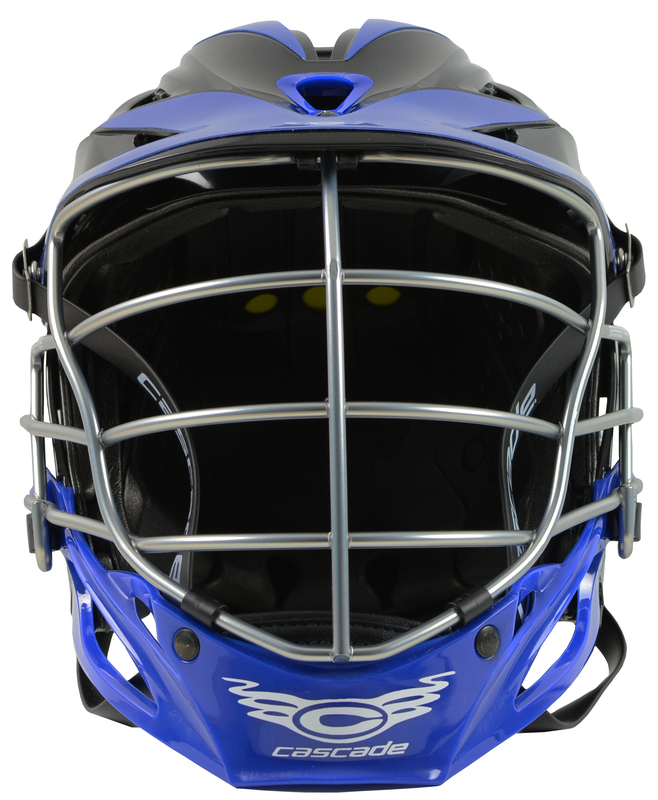 If you’re a lax fanatic, then you know how it feels to get the perfect tilt out of your lacrosse helmet; to hit the field with your helmet sitting low, like an ancient gladiator staring down a hoard of enemies…and maybe a tiger. 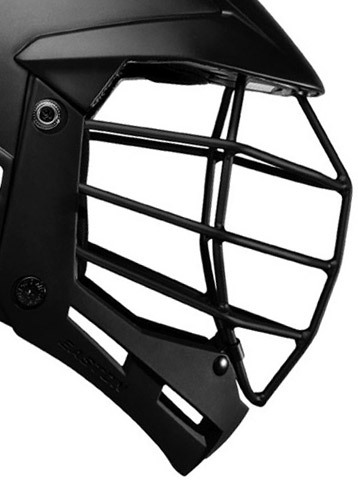 You strive for it, rip apart your helmet for it, and adjust chin straps, buckles, and padding to get it to sit just right for the perfect tilt…that sick, intimidating look. 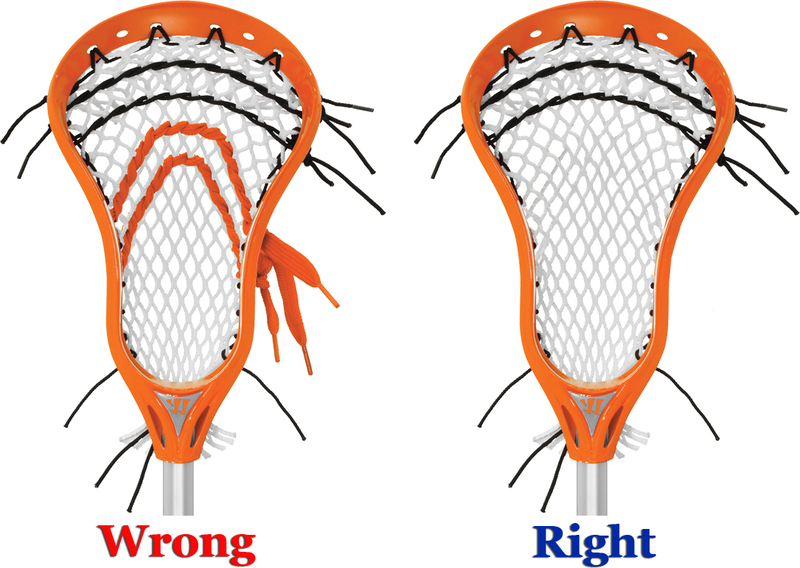 Thankfully though, some lacrosse players grow up to design lacrosse gear. 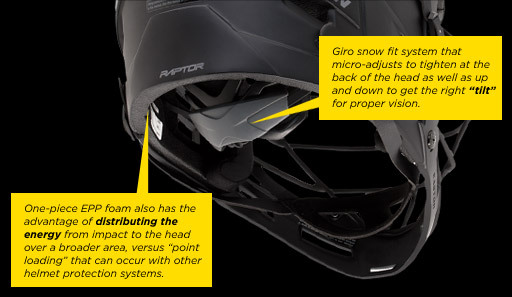 If not for that, then Cort Kim, Blake Kim, and Doug Appleton would never have inspired Easton Lacrosse and lead designer Genia Harbenova to finally create the world’s first lacrosse helmet with adjustable tilt! 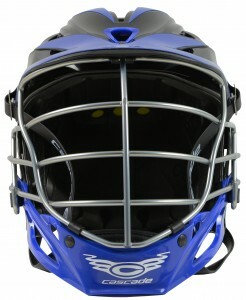 Enter the Easton Raptor Helmet! This baby is the end result of decades of lacrosse experience meeting genius design skill, blended together with Easton’s ridiculous resources and a drive to flip the game on its rear. And we have to say, they did one hell of a job! 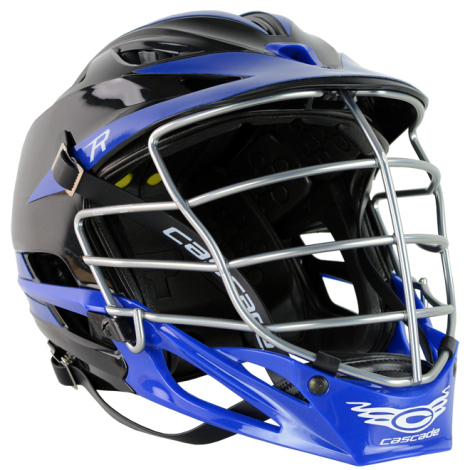 The Raptor is everything lax players have been dreaming of in lacrosse helmets. Its shell is made of a single piece of polycarbonate, with a single-piece, impact-absorbing EPP foam liner heat-bonded to the inside. What does all that jargon mean for you? Well basically, the Raptor Helmet is the lightest lacrosse helmet in the world (1.8 lbs / 28.8 ounces). That’s feather light. Leaf-in-the-wind light. Obscenely, should-be-illegal, outright ludicrously light! And that’s just the first thing you’ll notice when you pick up the Easton Raptor Lacrosse Helmet. Put it on, and you’ll feel the difference immediately. First, you can barely feel it on your head. Second, it’s crazy comfortable. Let me repeat that, because it bears repeating. There’s actually a comfortable lacrosse helmet out there! The difference with the Raptor, over any other helmet in the game, comes down to fit. Since the dawn of the modern game, lacrosse helmets have come in one size, with adjustable buckles, straps, laces, and maybe a micro-adjuster in the back…maybe. 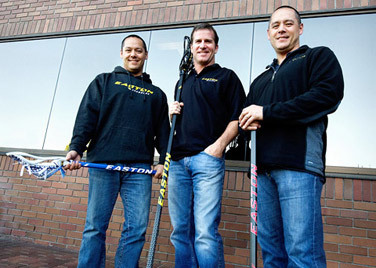 Easton Lacrosse threw that tired old model in the wood chipper and designed three different sizes (S/M, M/L, and L/XL). Then they went ahead and made each helmet completely customizable and adjustable…in every dimension. 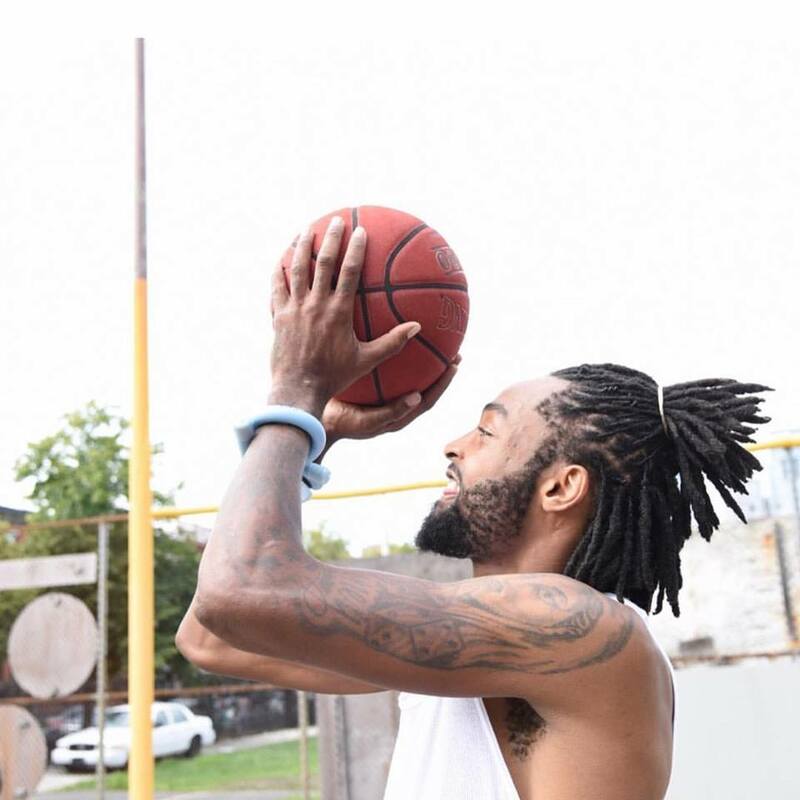 Get the best fit around your head with an In-Form Fit micro adjuster, the easiest-to-use fit band in the game. Adjust the helmet up and down, for the first time, with an innovative tilt system, to get the perfect helmet tilt, and avoid middle bar syndrome…all without going crazy adjusting chin straps and whatnot, or exposing the back of your head and chin to injury and impact. Heck, even the cheek pads come in two different thicknesses to give you that perfect, customized, comfortable fit! But don’t think it’s all style and no substance here! When it comes to strength and performance, this Easton helmet doesn’t hold back either. 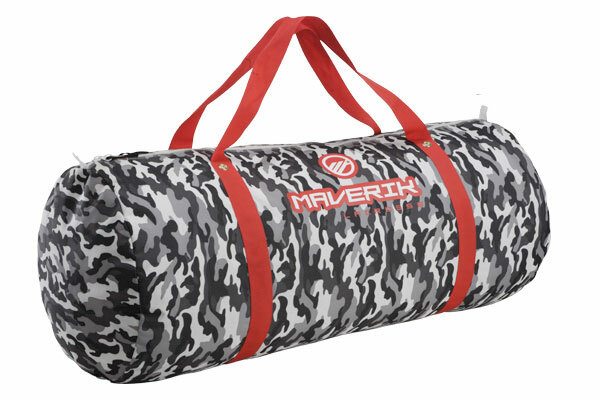 Inside, the EPP foam liner delivers the maximum amount of thickness without adding weight. 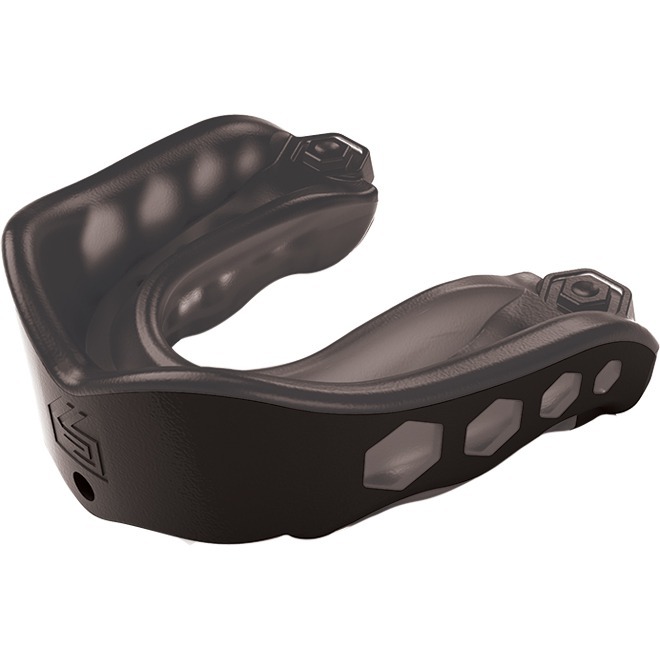 This way, it distributes impact energy over the widest possible area, reducing the risk of concussions and injury. The chin bar is a separate piece, made of rigid fiberglass-filled nylon, for a stiffer, stronger construction than other injection-molded bars. Easton tapered back the sides and top of the visor as well, intentionally shifting the steel facemask back and away from the face to improve facial protection, giving it a strikingly different look than other helmets out there. We know it’s new, we know it looks cool…but trust us when we tell you; it’s so much more than that! The Easton Raptor Lacrosse Helmet is the future of lax gear, finally giving players the style, the tilt, and the safety they’ve been screaming about for years now. Also check out our lacrosse bags to store you new helmet, along with the rest of your lacrosse gear. New 2012 Baseball and Lacrosse Gear is Here! We know what it’s like. While most people are counting down the seconds to New Years, you’re counting down the days to the release of the latest and greatest lacrosse heads. While others are making new years resolutions, you’re already resolved to buying the lightest, strongest, and sickest looking new lacrosse shaft. And while all of your friends are bundling up against the winter cold, all you can think about is spring, when you get to break out that brand new 2012 baseball glove! 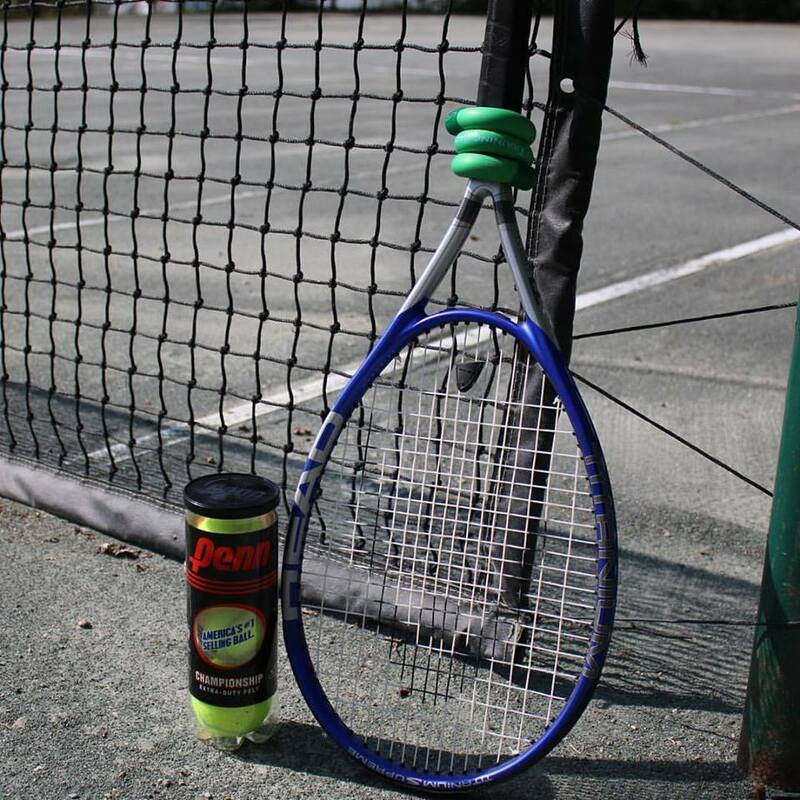 Others may not get you, but we understand the itch for new gear. And unfortunately, there’s no ointment or cream to cure it. To trounce the competition this season, you’re going to need the edge, and that means getting the coolest, most advanced and technological gear for the New Year…before anyone else can get their hands on it. That’s why we’ve already got all of the new 2012 lacrosse and baseball gear you’ve been jonesing for in stock and ready to go at Sportsunlimited.com! No pre-orders, no waiting around. In stock, ships to your door the next business day, in your hands and ready to rock, fast! You’ve waited all year for this stuff…why would we make you wait any longer? Ready to take your lacrosse game to a new dimension this year? 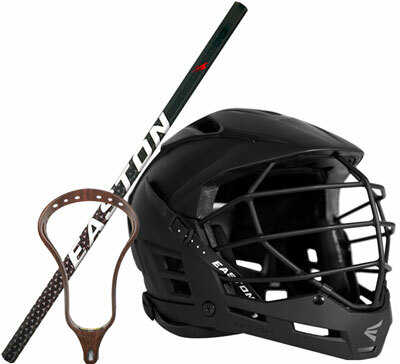 Check out the brand new 2012 lines of lacrosse heads, shafts, gloves, and gear from Brine, Gait, STX, and Warrior. For insane checking and strength, look into the 2012 Gait EXO CET Mens Attack Lacrosse Shaft, enhanced with carbon fibers for extra checking power and protection from dents and dings. We’ve also got the long anticipated 2012 Brine Swizzle Scandium Mens Attack Lacrosse Shaft, with the strength and lightweight speed of scandium, and a dominating new grip pattern, in every color imaginable. To top that shaft, there’s the new M80X lacrosse head from Warrior, built with a durable scoop and perfect channel for incredible performance, plus double x sidewalls for crazy stiffness and strength, great for delivering serious poke checks! 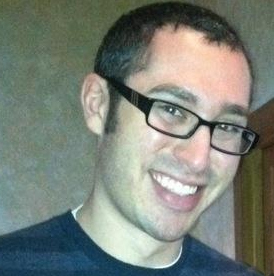 In 2012, a few new players have entered the lacrosse game, and we’ve got ’em all! Under Armour and Easton have thrown their hats into the ring, and brought their decades of sports experience, knowledge, dedication, and resources to the game of games! See all of the new styles and technologies Under Armour Lacrosse, and Easton Lacrosse have brought to the table, and find what your game’s been missing. If you’re like us, and can’t wait for spring training to get here, then you’re in luck, because we also have all of the coolest 2012 baseball gloves, bats, and gear to fill that void in your life until baseball season. As expected, Wilson has outdone themselves again with new lines of the Wilson A2000 and A2K baseball gloves, including the new Wilson Pro Stock gloves from players like Evan Longoria, Brian Wilson, and Josh Hamilton. Rawlings and Mizuno have also stepped their games up, with brand new glove styles and technologies, including the latest 2012 Rawlings Playmaker Series Softball Gloves! To help you slug like never before, Demarini, Easton, and Louisville Slugger have all developed new bats for 2012. Loaded with space-age technologies, enhanced with futuristic alloys, and wrapped in slick styles and graphics, new bats like the Easton Power Brigade BBCOR bat will get you off to a great start in 2012. Behind the bag, 2012 Easton, Under Armour, and Mizuno catchers gear takes comfort, protection, and performance to the next level. The new Mizuno Samurai G4 Mens Baseball Catchers Set and Samurai G4 Pro Youth Catchers Set capitalize on the popularity and success of last year’s models, upping the ante with new strategic ventilation, more comfortable padding, and an innovative construction to keep you light on your feet and quick to the ball. Whatever your game, we’ve got the sweetest new gear for the new year right here at Sports Unlimited. So since 2012 may be the last year we have left, why play with anything else but the greatest and most advanced equipment on the planet? And hey, if those pesky “end of the world” rumors turn out to be false, at least you’ve got new gear right? Author AdministratorPosted on January 6, 2012 April 1, 2015 Categories Baseball, LacrosseTags baseball gear, baseball glove, lacrosse heads1 Comment on New 2012 Baseball and Lacrosse Gear is Here!